Blue Garuda wrote: As for taking the SOV and creating a different presentation- not for me. We have a choice - stick with the version our Guru teaches, embrace the adaptations, or possibly embrace both. However, what popped straight into my mind was that if ChNNR saw a change as an improvement, he would teach it in a new form. Whether or not ChNNR is content for people to shape the SOV in ways they may find more meaningful, he still teaches it to us in a particular form - I'm inclined to think that is important and unless he changes that form I'll follow it as he performs it, as best I can. The SoV was not always done in the way we do it now and it doesn't mean the way it was done before was wrong. No, the melody ChNNR sing the SoV is actually part of the terma which he received from Ekajati, if I understood correctly. When we sing the SoV in my Sangha it isn't really with a melody at all and quite fast. heart wrote: No, the melody ChNNR sing the SoV is actually part of the terma which he received from Ekajati, if I understood correctly. Yes the melody as we sing it is a part of the terma ... so that alone invalid the pop-version, it's no more a transmission, it's a tube. As for being more attractive, honestly I don't see the point ... is it necessary to "attract"? don't we encounter Dzogchen when we are ready? what kind of "mind structure" will be "attracted" and what will they expect ... Beyblade followers and the magix that goes with? It seems you all agree to say it's a positive thing ... sorry, I don't, and it is not insignificant too. The music is pretty much in the style of a lot of Asian Buddhist pop, I imagine many Tibetans would like it. Not too bad I think. But the video is a bit cheesy. Not that my opinion matters. Sönam wrote: It seems you all agree to say it's a positive thing ... sorry, I don't, and it is not insignificant too. I don't think it's positive either. I would have preferred a perfectly sung version of the traditional melody with someone with a nice, extra nice and deep voice. That is something practitioners would love to have and it would easily sustain contemplation...Any good (DC traditional) recording around ? I have a CD from the DC dating back to the 1990s but the sound is ugly and the voice is... too loud (to close to the mikes). Melody yes, but you can do it at different speeds. This guy is singing it more like the fast way which isn't done anymore. But I listened again and yeah after the first four lines there seems to be some deviations in some parts. I'm not really sure that the melody was always the same. Perhaps Malcolm or Oldbob can comment on that. I remember Yeshi Namkhai saying it wasn't always sung like this but I don't remember what exactly he was reffering to. Blue Garuda wrote: I didn't say it was wrong, but my preference is to use the version ChNNR teaches. if he changes it, so shall I.
I see it as a transmission where sound is important, if not part of the essence. If others want to embrace other earlier or later versions that's fine, but not for me. I don't either think its positive, it is a sign of the degenerate times we live in. 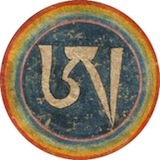 There is no "traditional" melody of the Song of the Vajra. Prior to ChNN's transmission, this melody did not exist in any human dimension. Nonsense -- it is perfectly fine. The more people who see the video the better. The words of SOV are liberation through hearing all by themselvs, no matter how good the melody, etc. yeah, and the video is also a fine piece of art. I met Jan last year at Merigar. He's a nice guy and genuinely inspired by the teachings he's received. Adriano Clemente taught very precisely how to sing it in 2010, it was webcasted. I think we never really sing it like that. But then that way was more related to the vajra dance, where everything has to be more precise. Below is the fast version from that webcast (you can go faster still). One can do it in the thun this way? No, the melody ChNNR sing the SoV is actually part of the terma which he received from Ekajati, if I understood correctly. No, the melody for SOV first came to ChNN in a dream when he was eight years old --no connection with his later Ekajati terma, which is connected with Mandarava. No, it is pretty silly, but harmless. and there is a precise tempo, wether slow (http://www.shangshunginstitute.net/webc ... V_SLOW.pdf) or fast (http://www.shangshunginstitute.net/webc ... V_FAST.pdf) ... it is not supposed to be sung otherwise. Sönam wrote: and there is a precise tempo, wether slow (http://www.shangshunginstitute.net/webc ... V_SLOW.pdf) or fast (http://www.shangshunginstitute.net/webc ... V_FAST.pdf) ... it is not supposed to be sung otherwise. I think you are being a little too rigid there, Sonam. Even ChNN does not sing SOV the way Adriano has transcribed it.